I've seen so much talk throughout the blogging community about how people are really hating Instagram lately, despite it being their favourite platform. Bit of a contradiction I know, but I have to say, I totally get what they're saying. 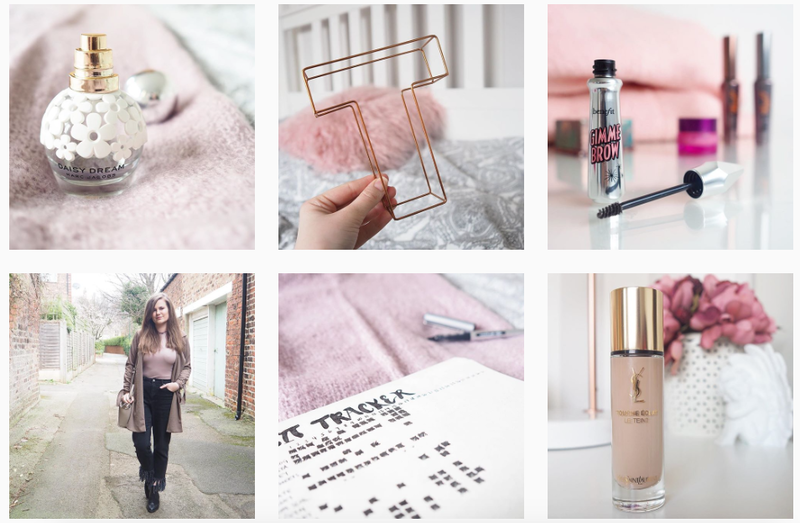 I can quite happily sit and scroll through Instagram for hours on end, I love discovering new feeds to follow and interaction with other bloggers is my favourite thing about it... This is where the big but comes into it though. Ever since the algorithm hit, I think we're all feeling it and realising just how difficult Instagram is these days. I constantly see the same people's pictures in my timeline, and when I search for my favourite accounts I realise that I haven't seen their pictures for days. This is annoying as a viewer, but it's also annoying as a creator. I can spend hours taking the perfect Insta-worthy shots for my account, only to find engagement is down massively and it leaves me with a bitter taste in my mouth. I get less likes, less comments and less growth of followers than ever before, and it's the same for every single person I discuss this with. This has spurred me on to try a lot harder with my feed though... I try to take better photos, I think more about my layout and I've even developed a little bit of a theme, which is something I was always against. So yes, my Instagram has improved, but it's still not going anywhere really. The fact that I put so much effort into my Insta makes me massively angry when I notice accounts with bought followers. This could lead me into two topics of discussion; We do notice when people buy followers, anyone can check, it's usually pretty obvious and it's definitely not cool. Also, it's so annoying that PR's and brands don't realise, when fellow bloggers do... There is nothing more frustrating than seeing people with bought followers being given opportunities that they quite frankly do not deserve. I think I'll have to write two separate posts on these though, as I have way too much to say! What I do want to discuss however, is a true and natural way to help to grow your Instagram account. There are many ways that can help, and unfortunately there aren't any magic spells to increase numbers, but I have found that by effectively using hashtags you can see some genuine growth in your account. There are some hashtags that will work wonders for you, in finding accounts similar to your own and for getting your account showcased to the correct audience and of course there are some to avoid. My Insta feed is very much linked to my blog... I share products that I love, flatlays, upcoming or current posts (as well as much more), but for these kind of posts I always make sure to use the below hashtags. It's a sure fire way of making sure that people who enjoy beauty blogs or other bloggers themselves will see your pictures. The same as above is relevant for my fashion pictures. I share my favourite outfit shots from my blog, or sneak peeks of upcoming outfits and of course I always post detailed images or pictures of new clothes and accessories I have bought... All of the below hashtags are relative. When it comes to including branded products in your Instagram feed, this is especially relevant. I find I use these mostly when I am posting images of clothes, accessories or outfits. Many brands have their own hashtags that they will look for when searching for images to share on their own social media, so it's always worth including these in your photo description - This is a genuine way to encourage real growth on your account. For the brands that don't have their own specific hashtags, I always simply hashtag their name in my description (e.g. #Primark) and this works the same for beauty brands too. If your photo is of good quality and fits with the theme of the brands Instagram, you may even be lucky enough to have your photo shared on their page, which for you can be Instagram-gold! 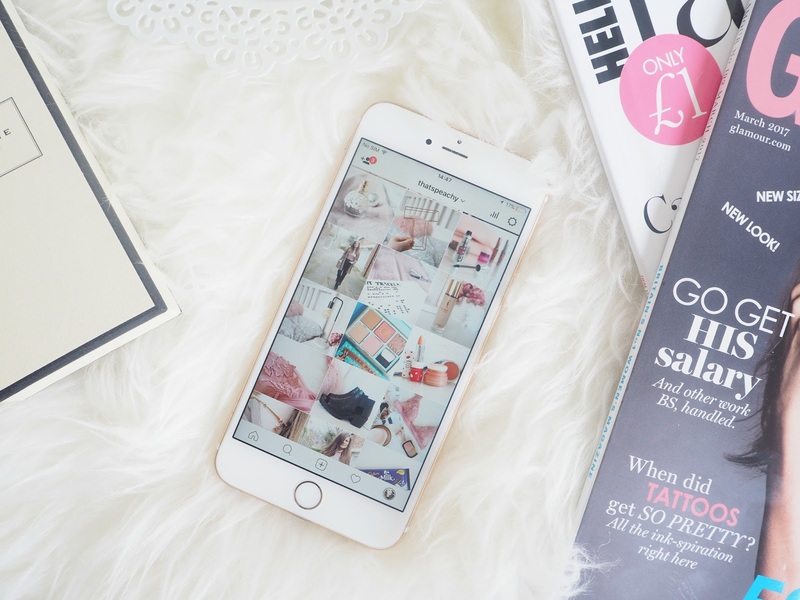 A regram can bring hundreds of new followers your way if the brand does it properly and tags you into the photo. Anything along the lines of these, are seen as spam hashtags. They may gain you some extra likes or even extra follows, but they will most likely be from fake accounts and those followers will soon disappear, along with the other people who used to enjoy your account, but now see you as a spammer too, see what I mean? It's just not worth it. You need to stick to relevant hashtags, ones which link to your brand, your account and your image, trust me, this is a genuine way of seeing your following grow. Let me know if this post has been helpful to you at all... I'd love to write more of these kind of posts if it's something you're interested in. You can follow me on Instagram @thatspeachy, I'll be sure to check out all of your feeds too... I'm a bit of an Insta-addict! Fab little post! In fact I have screen-grabbed the brand hashtags for future use. I have stopped using the SPAM hashtags as yes, they bring the wrong kind of crowd which isn't genuine. AND yes, PLEASE wrote about the annoying way some bloggers and influencers go from 200 to 20,000 overnight and brands just see numbers, not quality...it is so hard on those that work to create genuine engagement! Ahh I'm so pleased the post has helped! I'll have to write another! This is so helpful! I always struggle to think of relevant hashtags!